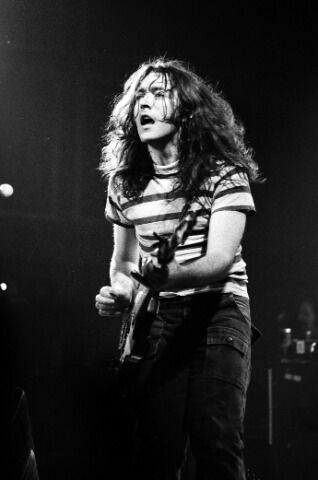 Rory Gallagher is the man who, without question, spearheaded and influenced the entire Irish rock movement. Rory's music was his religion. The conviction and sincerity with which he projected it have assured him a place in rock history and earnt him critical acclaim as one of the greatest torchbearers of driving, effusive rock and blues. Born in 1948 in Ballyshannon and raised in Cork, Gallagher's rock 'n roll odyssey began at an early age when he saw Elvis Presley on TV and became inspired to get his first guitar. Rory would listen and learn from the likes of Lonnie Donegan, Woody Guthrie, Leadbelly, Chuck Berry, Muddy Waters and Jerry Lee Lewis, many of whom Rory went on to record with. While still at school during his early teens, Rory began playing with professional show bands throughout Ireland, whose repertoires included all the popular hits of the day. Not musically satisfied with this, Rory converted his latter showband The Impact into a six-piece R'n'B outfit and headed for Hamburg in the mid-1960s. On arrival, this line-up was soon trimmed down to his first trio. Rory went on to form Taste in 1967 a band who soon met with wide acclaim, and subsequently headed for London where they were an immediate success at London's famed Marquee Club, counting among their fans John Lennon. When Taste disbanded at the end of 1970, Gallagher went on to a successful solo career. From his first solo album in 1971 through to 1990's acclaimed "Fresh Evidence" and beyond, Rory Gallagher sold many millions of albums worldwide and toured the globe several times, mounting more than 25 tours in the US alone. Following extensive tours of Europe, throughout 1972, Rory followed up with the album "Live In Europe," a top ten triumph both in the UK and internationally. While touring the US solo for the first time, he was voted Melody Maker's Top Musician Of The Year, and to cap off 1972 "Live In Europe" became Rory's first gold album, and his second chart album success in the States. In 1973 Rory changed the line-up of his band and released a further two successful albums, "Blueprint" and "Tattoo". Later in the same year he achieved another personal high when he was invited to guest on Muddy Waters' "London Sessions" album on Chess. At the end of '73, Rory toured his native Ireland, an almost legendary tour that happily was caught on film via a documentary made by Tony Palmer. In 1974 The Rolling Stones invited Rory to Holland to record with them, following the departure of Mick Taylor. The film documentary of "Irish Tour 1974" was released in conjunction with a double live set also entitled "Irish Tour 1974" and soon became his most successful album ever in the US, winning worldwide acclaim and prompting a tour of the far East later in the year. On his return, Rory was invited to guest on an album by yet another of his heroes, Jerry Lee Lewis (a double album recorded in London), and went on to the Montreux Jazz Festival to record with Albert King on his "Live In Montreux" album, then guested with jazz/blues giant Chris Barber. Having completed his contract with Polydor, Rory signed with Chrysalis in 1975 and released "Against The Grain". After an extensive worldwide tour, Rory returned to the UK to headline the Reading Festival (one of his many performances at this festival for which Rory held the record during his lifetime for number of appearances). "Calling Card" was recorded, with the aid of Roger Glover, at Musicland Studios in Munich, and charted worldwide on its release. Gallagher then returned to the States for yet another tour. Rory made television history as the first ever artist to appear on Rockpalast, transmitted live to some fifteen countries with an estimated audience of 50 million. In 1978 he returned to Germany to record the critically acclaimed album "Photo-Finish" at Dieter Dierks' studios in Calogne. Following his lengthy worldwide tour, Rory returned to Dierks' Studios in '79, sticking with the same successful formula to record "Top Priority". The album was released and followed up with an extensive touring schedule which resulted, in 1980, with the landmark live album "Stage Struck". In 1982, Rory released his final album for Chrysalis, "Jinx", released by PolyGram in the US, and then returned to where he was happiest, the stage, and a successful tour of the world. After the return of his entire catalogue in 1985, Rory formed his own label and publishing company, Capo, and began recording the "Defender" album, released in 1987, which charted strongly in many countries. The 1990 release of "Fresh Evidence" saw Gallagher opening the ears of an even wider audience. Rory continued to tour with a new band he established in '93, until he fell seriously ill in Holland in January 1995. In 2003, a reappraisal of Rory Gallagher's musical legacy is well overdue, and it's sure to be prompted by "Rory Gallagher: Wheels Within Wheels." It's a lovingly compiled acoustic folk collection that doesn't just reinforce his wide-reaching musical contribution, but makes it wider still.